Is ‘fit for purpose’ fit for purpose? As you know from last Wednesday’s post on ‘man-words’, Stan Carey is the first in a series of guest bloggers who will be contributing to our blog for two weeks at a time until Christmas. The first of their posts will be on the subject of ‘Global English’ and the second will look at the ways that you (users) search Macmillan Dictionary. Stan, a freelance writer and editor living in the west of Ireland, is not completely new to this blog: he has previously written a post here about the word smithereens. He also writes on his own blog, Sentence First. 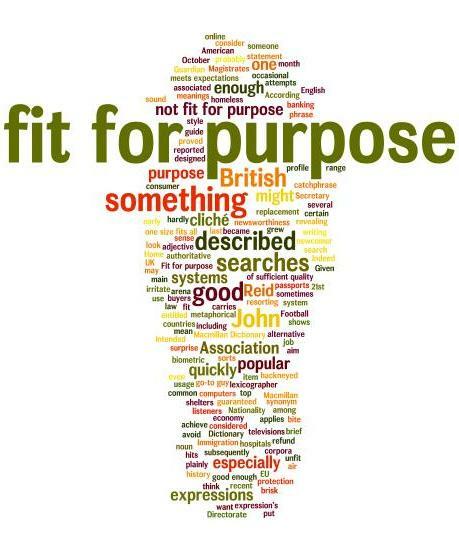 Fit for purpose was one of the top UK searches on Macmillan Dictionary in October. Here’s a brief look at its history and usage. The phrase is associated with consumer protection law. If buyers are guaranteed that an item is fit for purpose, but it isn’t, then they may be entitled to a refund or replacement. Fit for purpose is a newcomer to the catchphrase arena, with hardly any hits in the main British and American corpora. According to lexicographer John Ayto, it had occasional metaphorical use in British English in the early 21st century. Then, in 2006, the British Home Secretary John Reid described the Immigration and Nationality Directorate system as “not fit for purpose”. Given the newsworthiness of this statement, it’s no surprise that the expression’s profile and range subsequently grew (especially in certain countries). As a sound bite, (not) fit for purpose carries a brisk, authoritative air. It’s especially popular in the negative: an online search shows all sorts of things described and reported as “not fit for purpose”, including computers, televisions, hospitals, homeless shelters, kennels, banking systems, healthcare systems, biometric passports, the economy, the EU, the Football Association, the Magistrates’ Association, and even John Reid himself. Indeed, fit for purpose became so common so quickly that the Guardian style guide described it as “a recent cliché that quickly proved itself unfit for the purpose of good writing”. This doesn’t mean fit for purpose is not sometimes fit for purpose, but you might want to consider alternative expressions: that something meets expectations, meets the required standards, is of sufficient quality, is good enough, and so on. It’s revealing that among the most popular synonym searches on Macmillan Dictionary last month were one size fits all, go-to guy, and double-edged sword. 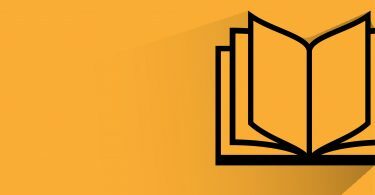 Each of these can also be considered a cliché, and some of the searches were probably attempts to avoid resorting to hackneyed expressions whose overfamiliarity might irritate readers or listeners. What do you think – is fit for purpose fit for purpose? As an American, the phrase sounds distinctly odd to me; I would always say “fit for the/its purpose”. John: Its popularity in some regions may be due in part to its elliptical construction. I read somewhere that this made it seem like something that might be stamped on a report. Ah Stan, “fit for purpose” indeed – brings back memories. As a regular visitor to a well known travellers’ website, I was somewhat taken aback a couple of years ago when I looked for reviews of a particular hotel. One five star recommendation came with the faint-praise-damnation that it was “fit for purpose”. Booking last minute, I accepted the five star recommendation and can now testify that it was not “fit for purpose”, not my purpose at any rate – which was cleanliness, comfort and location! Thanks for bringing it all back to me! Helen: Oh dear! Faint praise indeed. “Fit for purpose” doesn’t really square with a five-star rating, and your experience seems to have confirmed this. It sounds as though the review itself was unfit for purpose. Very interesting post, Stan. I particularly liked your observation about the popularity of those synonym searches. Of course, as well as being cliches, the idioms you mentioned – such as “double-edged sword” – are examples of figurative language, and it doesn’t surprise me – given the deluge of figurative language that we are every moment immersed in – that people actually seek out alternatives that are, possibly, more literal, ‘plain’ or direct. That said, the problem with figural language is not with figural language per se (which, when imaginative and novel, is always an astonishing and gratfiying experience for the intellect) but rather, that many figural expressions lapse very quickly into cliche, thereby obscuring the force of meaning they were summoned to carry. In any event, a phrase like ‘fit for purpose’ is so functional – and so utterly bereft of figural potency – that the mild disdain which it triggers in those of us who nurse a love of language is easily understood. Very astute observations, Padraic. You’re right that the problem in many cases is the speed with which some expressions wear out their welcome. They become overexposed and can attract fierce criticism. But even the most banal and overused phrases will stand the test of time if they retain a certain usefulness — phrases like stand the test of time, for example! As J. A. Spender wrote, “The hardest worked cliché is better than the phrase that fails.” Fit for purpose is a relative newcomer; it will be interesting to see how it fares. thank you very much for your new post.I discussed the previous one about man’s words with my students and they really enjoyed it.We ended up tha we should not change the language as there were some attempts to chance the “man” part into a woman.Because ladies should be ladies and we have brave men who will always help ladies.no much feminism.I will give this new one to my students for discussion too. You’re welcome, Alla. Thank you for the report from your lesson – it sounds as though you had a very interesting discussion with your students. Hi, Is the reply to “how are you” correct if you say “good”? I find “fit for purpose” to be an extremely useful and practical expression that solves a serious ambiguity problem compared to its closest relative, “good enough.” Especially in fields like engineering and design, we require a concept like “good enough” but need more precision than that. “Fit for purpose” implies an actual system for evaluation. If a product’s characteristics are not consistent with its design requirements, it is not fit for purpose. Otherwise, it is. I’m not sure that I see the similarity with clichés like “one size fits all,” “double-edged sword” and the like. One thing that such clichés have in common is that they take the form of a metaphor, and like other forms of poetic language give the communicator “artistic license” to use expressions less correctly than they would need to otherwise. Thanks for your comment, Jim. Certainly the phrase has its uses (I rely on it myself sometimes), and it has slotted better into some niches than others. Where it is used loosely, its value will decline; in other domains, as you point out, it may retain a more specific and therefore useful sense. The similarity with “one size fits all” and co. is that they are clichés, or at least some consider them so. Many clichés are not metaphors, of course, unless we’re interpreting metaphor broadly.